Take a look at some of the best treats found in the markets and shop windows of the largest island in the Mediterranean and cook them in the comfort of your own home. Sicily is home to many of Italy’s best-loved sweets. Cannoli is undoubtedly the most famous of all, but there are many other delicious delicacies also originating from the southern island. Read on for our five favourite recipes and be transported to the Mediterranean. Cannoli are a staple of Sicilian cuisine and the region’s best known sweet pastry. 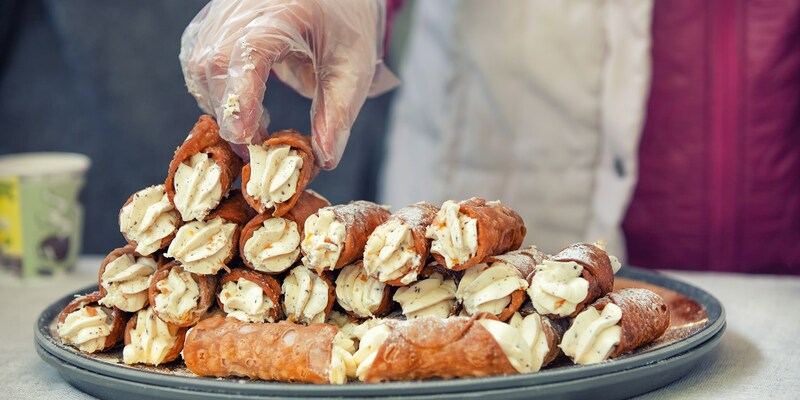 Traced back to the original Arab pastry makers of the Emirate of Sicily, cannoli are characterized by a crispy, fried pastry shell and ricotta-based stuffing. These days cannoli can come with any number of flavours and toppings, but the classic ricotta and chocolate combination featured in Antonella la Macchia’s Sicilian cannoli recipe is hard to beat. 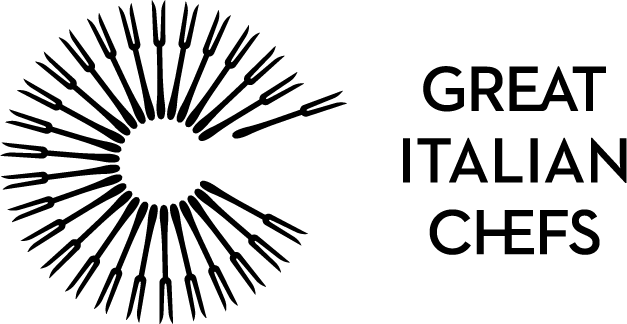 Sicily's rich culinary traditions take many influences from the various cultures that occupied the island over the centuries. These delicious shortcrust pastries, from the small town of Agira, showcase many international influences and are stuffed with a fragrant mix of chickpea flour, cinnamon, lemon zest and almonds. They are traditionally served during Christmas, but have become so popular that they can be found in Sicily throughout the year. Potato isn’t usually associated with sweet treats, but these buttery potato doughnuts are light, fluffy and wonderfully moreish. The perfect party snack, they can be made the night before and take just forty-five minutes to prepare. Michelin-starred chef Andrea Migliaccio deep fries his potato zeppoline, rolls them in sugar and serves them warm. Giuggiulena means ‘sesame’ in Sicilian dialect and is the main ingredient in these crunchy sesame and almond nougat squares. Made with just five basic ingredients, the nougat can be whipped up in a flash and makes a fantastic edible gift. Historically, many of Sicily's most popular sweets were made at the island's ancient monasteries, including frittelle di riso (rice fritters). Although only one of the island’s convents still produces cakes or pastries today, these delicious honey-soaked fritters are still popular in Sicily and mainland Italy. Take a look at Antonella la Macchia’s authentic frittelle di riso recipe and fill your kitchen with the heady scents of orange zest and cinnamon.